In Unity, Global Menu (AppMenu) is enabled by default for all applications which support it. 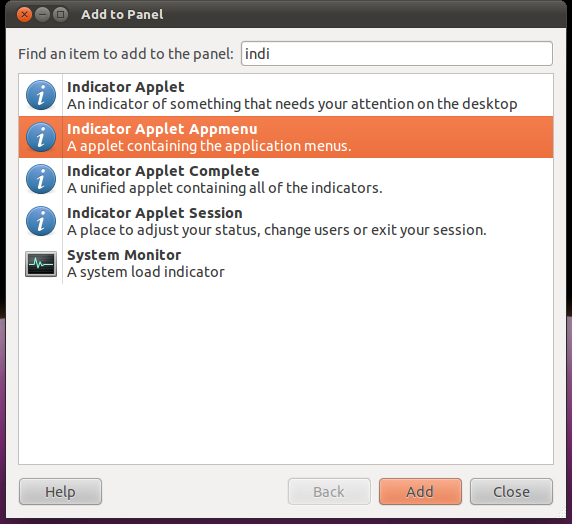 In classic Gnome, you can enable it by adding the respective applet to the desired panel. Re-login after either of these operations. click on "Add", then "Close"
For some applications in classic Gnome, the applet might crash/hang or cause some other issues. In that case, restarting Gnome Panel can fix it. Firefox has its own add-on to enable Global Menu support. If you want to disable/enable it separately, you can do that in its Add-ons manager. Also, as you may already know, you can disable/enable Firefox' menu bar by right-clicking at it, or any other toolbar, and choosing it in the upcoming context menu. The current version of Chromium provided by the official repos of Natty Narwhal doesn't support Global Menu. 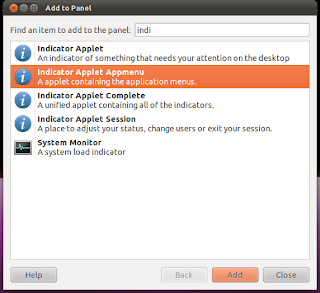 UPDATE 06/16/2011: As of now, version 12 of Chromium is available in all official repos of the current Ubuntu releases, thus Global Menu support is now included in it, too. See below how to enable it. The current 'stable' version of Chrome provided by Google doesn't support Global Menu. After the installation, refer to the guide for Chromium on how to enable Global Menu. In the address bar, enter: "about:flags". In the tab that opens, scroll down to the bottom. Click on "Enable" under "Experimental GNOME menu bar support".